Good-looking couple Kanjiro and Misaki at Waimanalo Bay, East Oahu. On a cloudy and windy day like this the photos look best in the colorful greenery of the jungle. 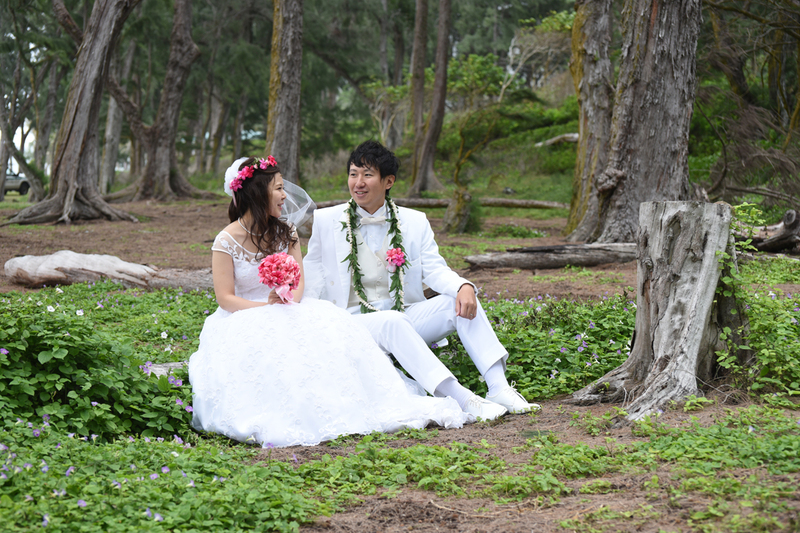 Sherwood Forest doesn't look much like Hawaii, but this spot is definitely on Oahu. 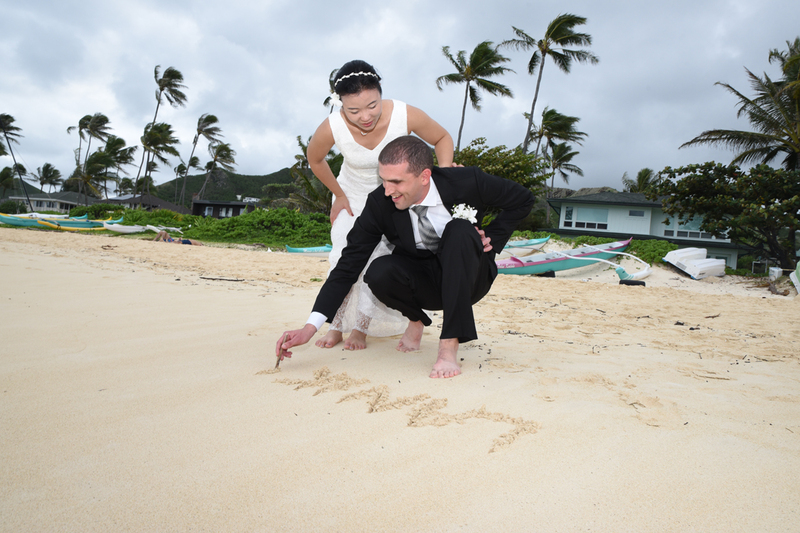 Windward Oahu is simply stunning with blue sky and turquoise ocean and a golden sand beach that goes on and on. Japanese honeymooners Kouhei and Asaka with Hawaii Photographer Robert. 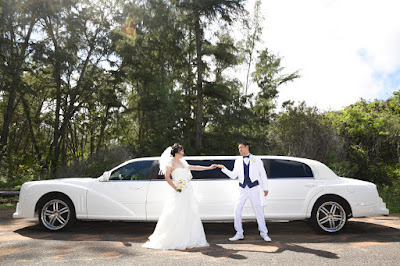 Takehiro and Mana having fun on their Oahu Honeymoon with Waimanalo Beach wedding photos. 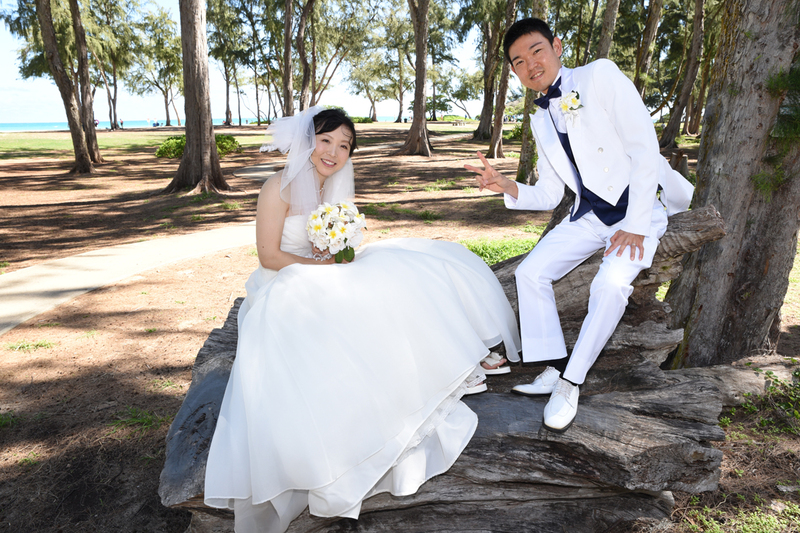 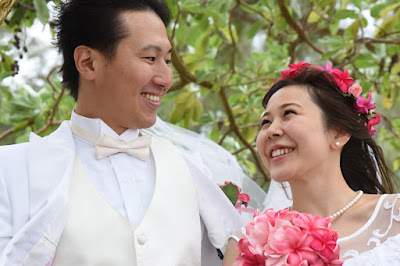 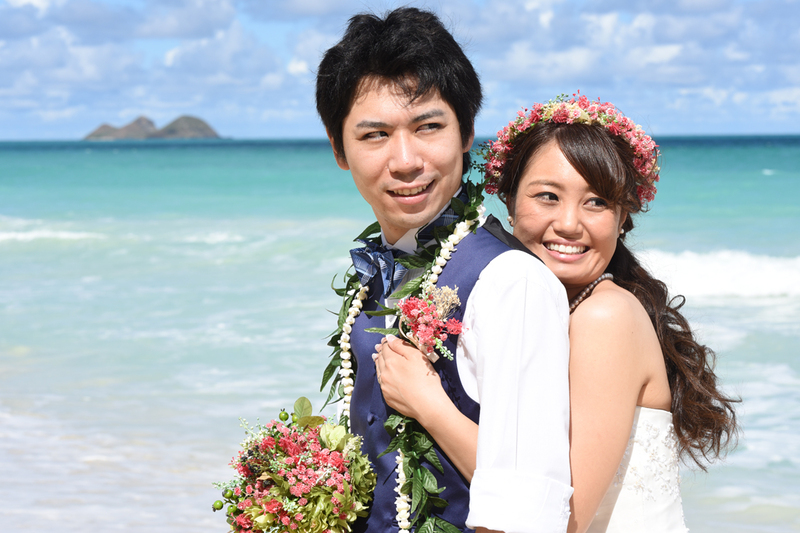 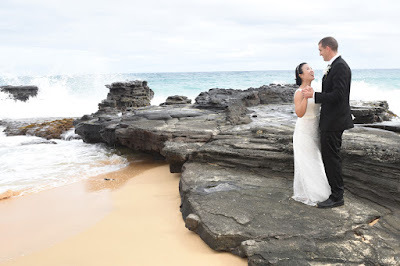 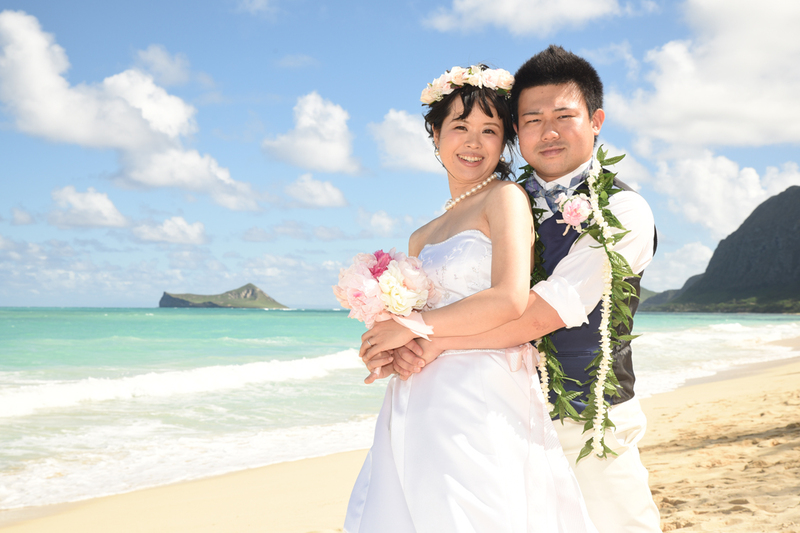 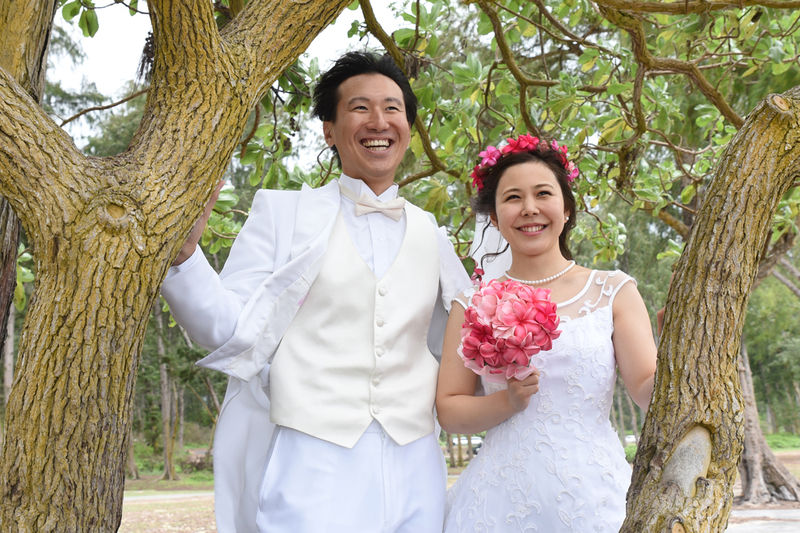 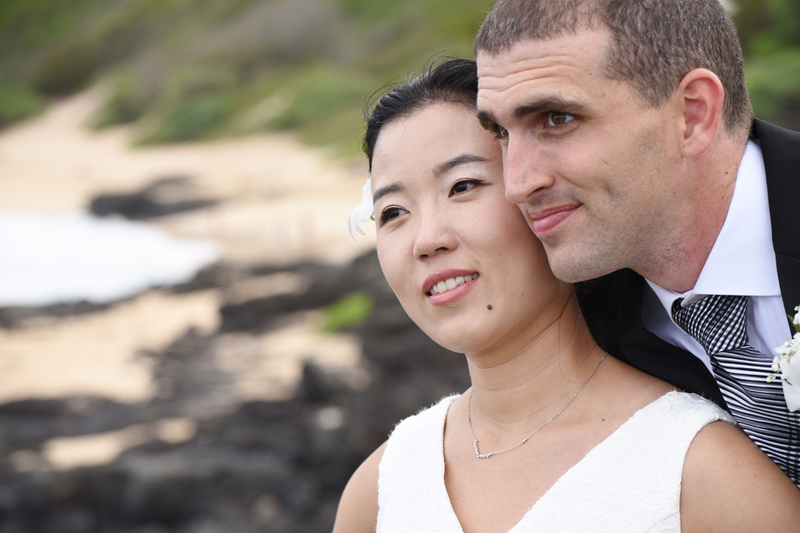 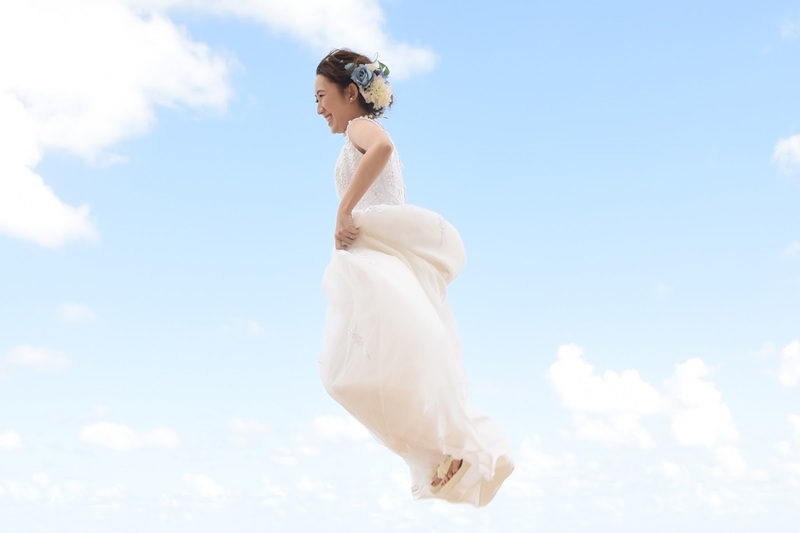 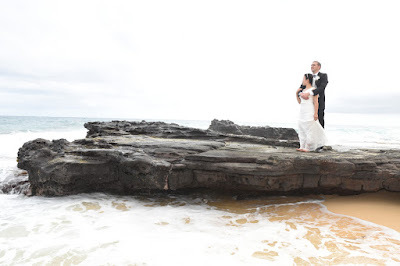 Yoshiyuki and Takako choose Waimanalo Beach for their Hawaii wedding photos. For variety we like to mix it up a bit and get some forest pics as well. 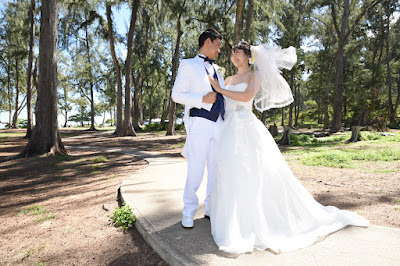 Green is soothing to the eyes. 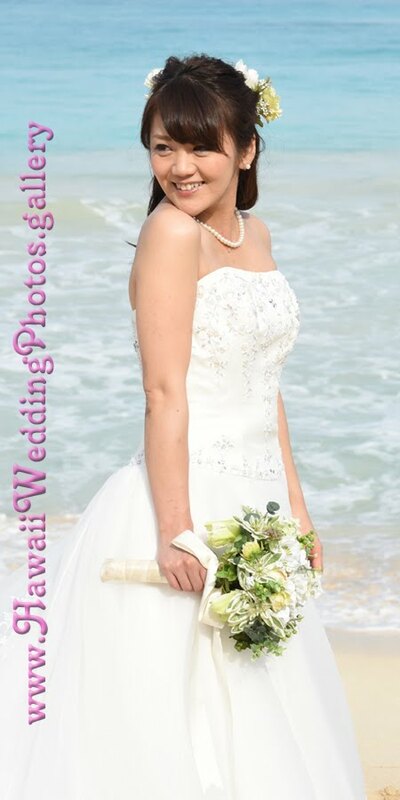 Waimanalo Beach is definitely a great photography location on Oahu for Bride photos! 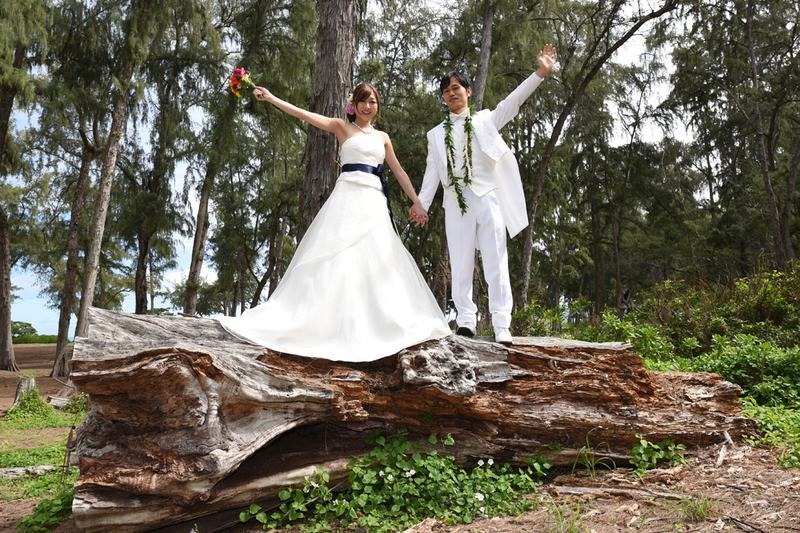 Kan and Chihiro pose for a couple shots at Sherwood Forest before walking over to Waimanalo Bay. 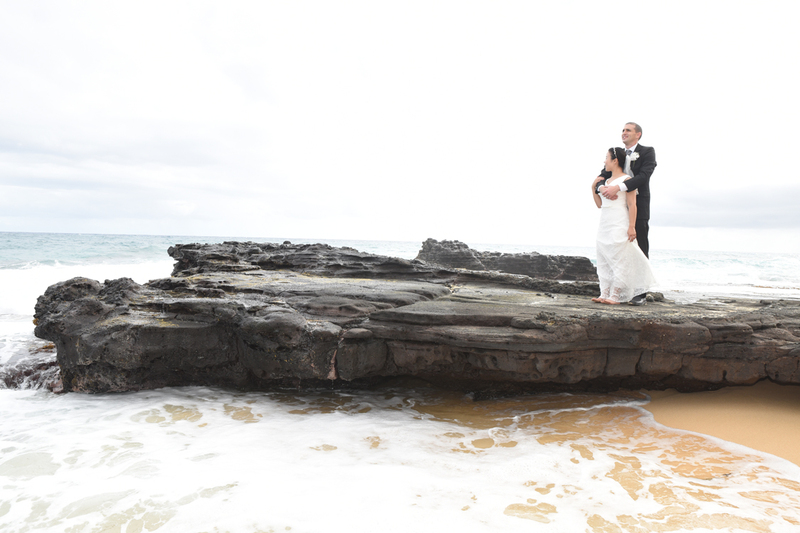 Bride and Groom dance at Sandy Beach as the waves crash on the rocks nearby. 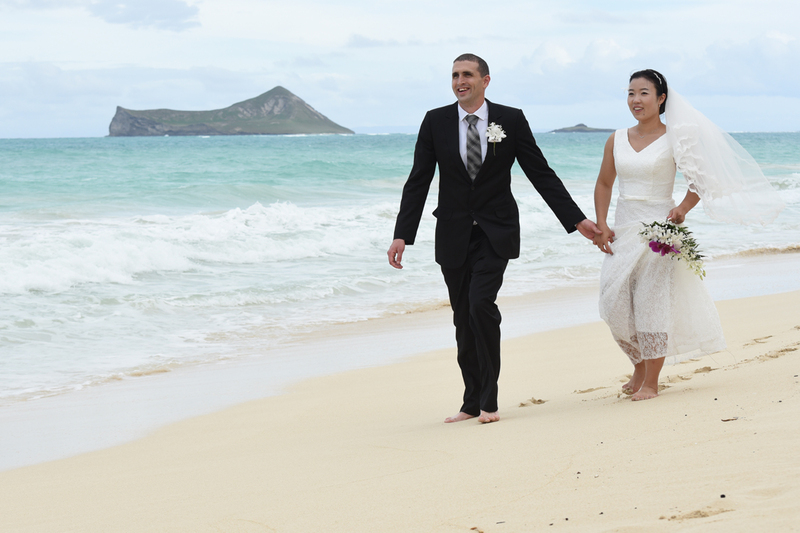 Quick stop at Makapuu Beach for a few more pics. 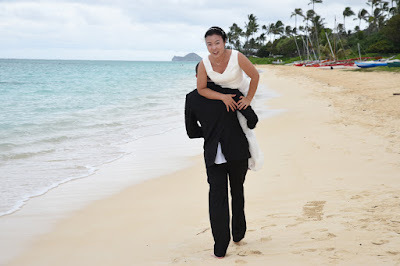 Strolling on the beach in Waimanalo with Rabbit Island in the background. Clarke writes "LANIKAI" in the sand lest they forget which beach it was.